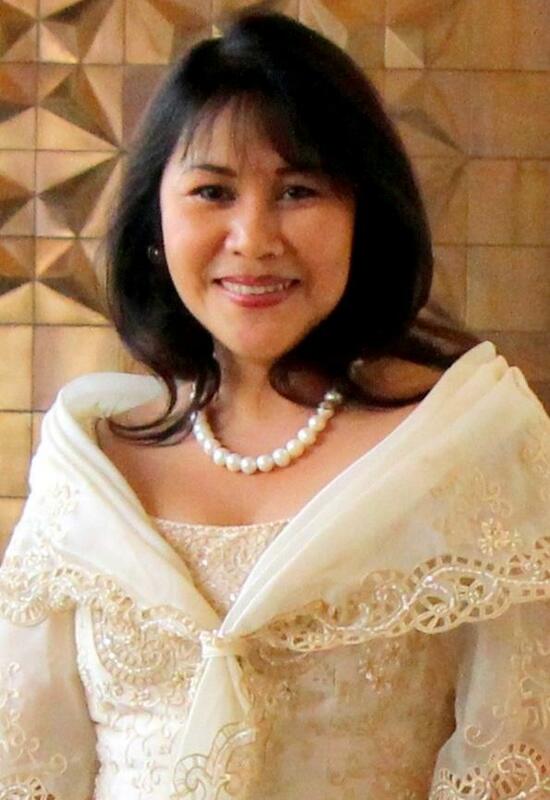 This interview with Susan Santos de Cardenas of the Philippines is the first of a special series featuring board members of the recently founded Asian Ecotourism Network. A sustainability and ecotourism champion, Susan shares with us her view on the current state of sustainable tourism in the Philippines, what motivated her to establish The Coron Initiative, and the main challenges regarding the sustainable development of tourism in a country known for its rich biodiversity and picturesque islands. The current state of tourism in the Philippines, regarding sustainability. Susan, do you remember what first attracted you to sustainable tourism? What got you inspired? I was first attracted to sustainable tourism when I started to work with Inkaterra, Peru’s eco-pioneer and conservation leader since 1975, long before ecotourism became “trendy”. I was inspired by Inkaterra founder & CEO Jose Koechlin, who is a supporter and promoter of scientific research for biodiversity as the baseline of profitable conservation, education and economic growth of local communities. I approached Inkaterra, Rainforest Alliance and Sustainable Travel International, who are also trailblazers in promoting Sustainable Tourism, for support to start my ground work in the Philippines. With motivation and enhanced knowledge gained through participation in relevant workshops, I was able to build my personal brand to work on green solutions to global issues – ultimately, from policies to practices, for grassroots growth underlining cultural, community and ecological legacy. Having successfully engaged in numerous Sustainable Development projects in many countries, with projects ranging from Eco lodges to travel agencies, what advice would you offer to newcomers or recently graduated students who want to follow your example? As the saying goes, leadership is not a position, but action and by example, so even if new graduates are starting out in their careers, they should look up and emulate role models and advocate sustainability ethos. My advice is to commit to making tourism sustainable – it is our responsibility as industry players to achieve sustainability and resilience, in times of global warming and climate change. All those in tourism and hospitality must work to embrace sustainable tourism and best green practices. 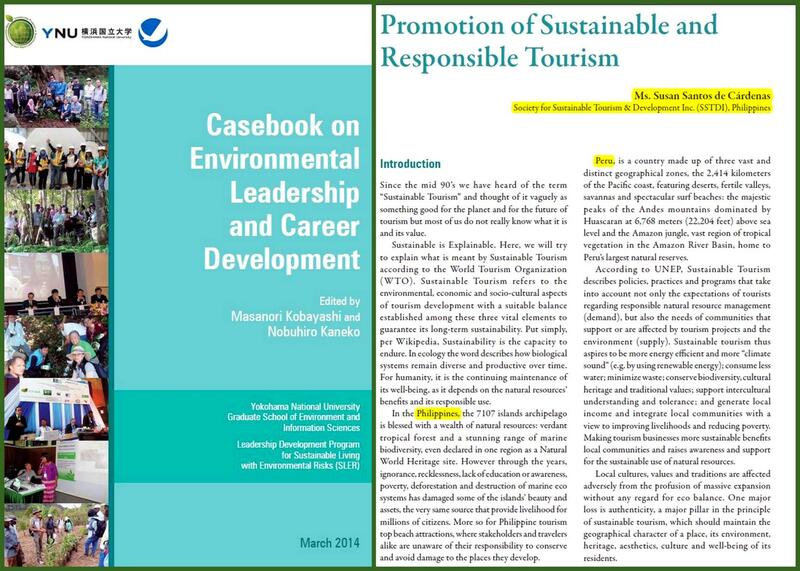 You’ll find additional advice in my contribution to the “Casebook on Environmental Leadership and Career Development”, published by Yokohaman National University, where I have been guest lecturer several times. Among your many successful projects, can you tell us more about ‘The Coron Initiative’? 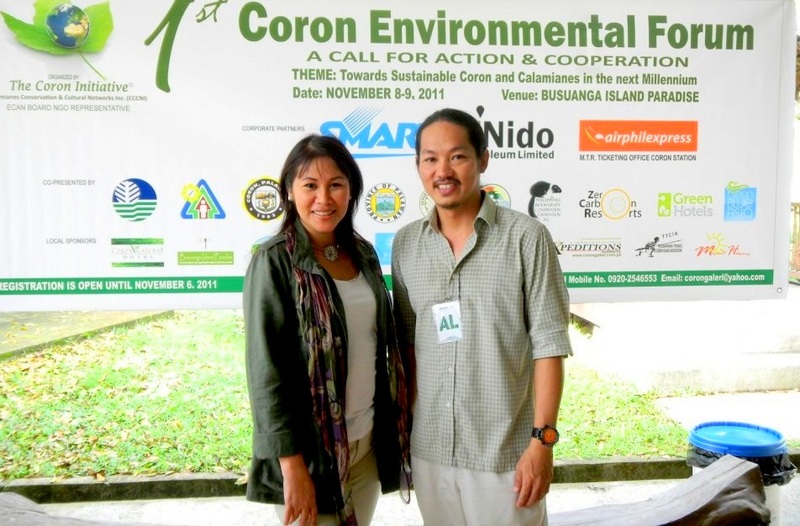 The Coron Initiative (TCI) was conceived during my first visit to Coron, Palawan, Philippines in June 2010. During that trip I was introduced to Al Linsangan, Executive Director of the Calamianes Conservation & Cultural Networks Inc. (CCCNI). Together, we established the formal agreement to adopt and implement TCI, which was later co-organized by our Society for Sustainable Tourism & Development – SSTDI. As the project name suggests, it is just a start of a movement, an evolution of culture for sustainability not only in Coron and Calamianes, but also the rest of the Philippines’ 7,107 islands, where most of the tourism resources rely on its rich and stunning coastal and marine ecology. The purpose of TCI is to provide a replicable model for future tourism development in a country where island biodiversity is the main attraction and whose development requires careful planning that adheres to sustainable tourism guidelines. I believe that we need to educate and espouse tourism growth that does not destroy our rich natural heritage which attract tourists to visit in the first place. We must ensure we don’t only protect the environment for the future generations, we also improve governance and stewardship. TCI is still very much a work in progress with a lot of room to grow in education, capacity building, implementation of best practices, mentoring, and championing community leaders. A sustainable tourism development in destinations can only be achieved through participation of all local residents. There is a need for a willingness and ability for all stakeholders to work with this kind of bottom-up approach. In this context, both environment and social NGOs – including our own – have an important role to play, putting pressure on the industry and facilitating legislation, agreements and local participation for community development. What motivated you to introduce conservation as sustainable tourism framework for Coron & Calamianes Islands? With its natural beauty and rich indigenous culture, Coron is the fastest developing prime tourist destinations in the Philippines. Palawan was proclaimed as a UNESCO Man and Biosphere Reserve in 1990. Coron was submitted in 2006 for consideration to be designated as a World Heritage Site to protect this jewel. Growing national and international tourist numbers and economic activity have led to more infrastructure projects, inter-island transport, trash dumping, commercial fishing, waste water, and deforestation. Learning the lessons from Boracay Island, where I worked as a pioneer in the early 90s for 10 years, I foresaw that Coron as a destination should not go the way of Boracay in unsustainable development, where there is no regard for preserving and protecting its spectacular beaches (though vulnerable), which attracted tourists in the first place. Your thoughts on the current state of tourism in the Philippines, regarding sustainability? The Philippines’ Department of Tourism (DOT) has a history of established guidelines in “Ecotourism Development” since 1999, and its “Tourism Act” of 2010. This act recognizes that sustainable tourism development is integral to the country’s social and economic development. Although this act is good in theory, unfortunately it is not practiced by all. Many tourism destinations in the Philippines lack participation from the host communities and local stakeholders. 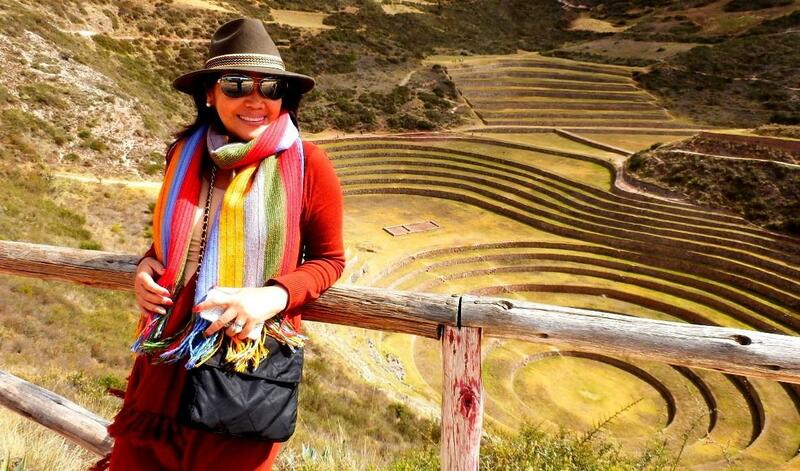 To date, only a handful of destinations actually follow those Ecotourism principles, if at all. Throughout my 20+ years of experience in the Philippine tourism industry, new resorts, hotels, event venues have opened and grown with no concern for sustainability. Issues such as climate change add to the country’s vulnerability, considering that most tourism activities occur on islands and in coastal areas. The DOT should start to engage in promoting sustainability as a hallmark for both public and private stakeholders in destinations and host communities. It should promote tourism investment that strives to adopt environmentally sound technologies and sustainability measures, such as renewable and efficient energy, water use efficiency, ecologically solid waste management, and organic farming to provide livelihood to local communities. The Philippine tourism industry should promote projects which are compatible with the cultural identity of the local population’s way of life. Furthermore, the tourism sector should always make sure it acts in accordance with the cultural heritage, and respect the cultural integrity of tourism destinations. This might be accomplished by defining codes of conduct for the industry and hence providing investors with a checklist for sustainable tourism projects. The DOT should help fundraising for local NGOs to enable them to engage in a dialogue on tourism and provide industry education programs, which encourage responsible consumption, natural resource use, environmental protection and local culture conservation. On the other hand, local governments should harmonize laws on sustainable tourism, including regulations, fee standards, licensing, etc. so that they will be more focused on social and environmental efforts to sustain tourism in the host community or province. From your experience, what are the main challenges when trying to educate public and private stakeholders about environmental conservation and sustainable tourism development? While both public and private stakeholders may be willing to “go green” and practice sustainability principles, there is a conflict between the pursuit of economic gains and social and environmental responsibility. Stakeholders lack information and education on the requirements of sustainable tourism and how to integrate economic potentials with environmental and social requirements. In the context of sustainable development of tourism, local governments play an important role as those in charge of conserving and managing resources. The challenge is to ensure that both local governments and private investors are willing to support sustainable tourism development guidelines. LGUs [local government units] have the mandate to craft their own tourism plans, which sets out the priorities over the medium to longer term and intend to contribute to community well–being. But because LGUs are subject to political elections, their focus tends to be more short-term. Change of regime can affect the adoption of the sustainable tourism guidelines for legislation. For instance, the LGUs of Coron & Calamianes have yet to include sustainable tourism measures in their Municipal Tourism Code, and Environmental Conservation laws are yet to be integrated. In my talks and presentations for the private sector (hotels, F&B, MICE, travel agents, tour operators) on the Triple Bottom Line principle of sustainability – People, Planet, Profit – they all agree on the values, but when it comes to application, they falter, as these principles are in conflict with their focus on rapid return on investment. The hurdle is to mediate between fast profit vs. responsible practices. Here we are, educating on “limited carrying capacity” and longer stay “quality tourism” as opposed to quick turnover, short stays with massive and maximized tourism arrivals, which are the priority of most, if not all. It is critical that both public and private sector players commit to and embrace sustainable tourism. As a Board Member of the Asian Ecotourism Network, which changes do you hope to see in Asia regarding sustainability and tourism? I hope to see all the members of the AEN formulate a bespoke Sustainable Ecotourism framework for Asian destinations, in accordance with the UN World Tourism Organization and the Global Sustainable Tourism Council. With my experience from Inkaterra, I can contribute to the formulation of these guidelines, based on ecological research and inventories, conservation and sustainable tourism best practices. AEN should also adopt a streamlined version of sustainable ecotourism guidelines set by UNWTO and GSTC. My contribution to helping this streamlining process is culled from my active participation in conferences and workshops, such as the Extractive Industries Transparency Initiative (EITI) where we see sustainable tourism as an alternative to destructive and artisan mining in protected areas, and the recent UNESCO World Congress for Biosphere Reserves. Connect with Susan Santos de Cárdenas on LinkedIn or Twitter. For more information, visit Society for Sustainable Tourism & Development, Inc. (SSTDI) website. 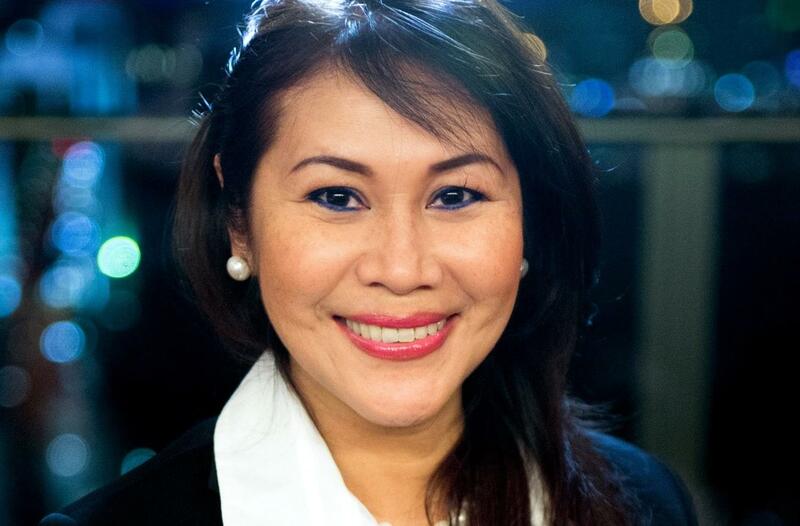 Enjoyed our interview with Susan Santos de Cárdenas on sustainable tourism development in the Philippines? Spread the word!